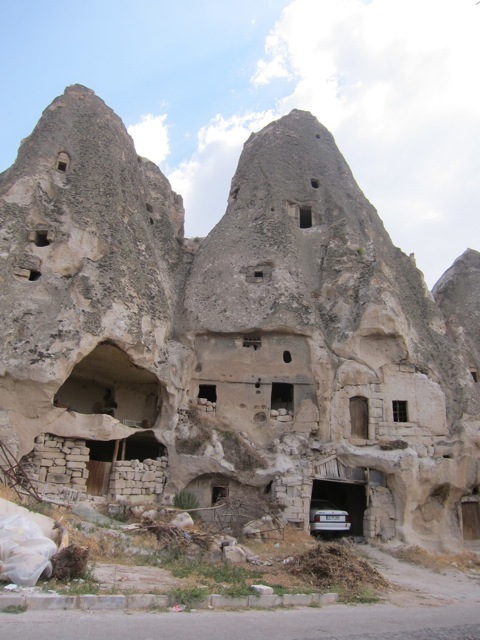 When I first heard Bill Mollison mention the subterranean dwellings in central Turkey and when Nina first talked about the fairytale houses of Cappadocia from her “must see places” list I hadn’t put two and two together. 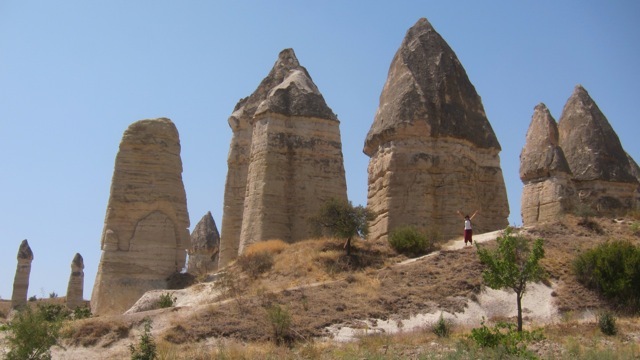 It wasn’t until we were winding around the eroded landscape on our bus entry to Goreme that it clicked. Two and Two suddenly became eighty four! Ancient volcanic eruptions blanketed this region with thick ash, which solidified into a soft rock—called tuff—tens of meters thick. Wind and water then went to work on this plateau, leaving only its harder elements behind to form a fairytale landscape of cones, pillars, pinnacles, mushrooms and chimneys, which stretch as far as 40 meters into the sky. 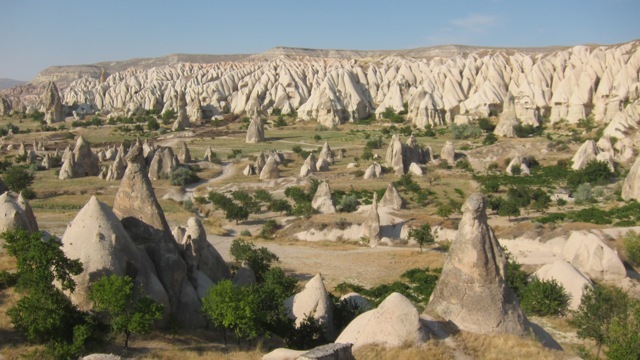 So erosion shaped the incredible landscape of the Göreme valley, but thousands of years ago the troglodyte people used what Mother Nature created and began carving an amazing chamber and tunnel complex into the soft rock. Beginning in the fourth century A.D. an urbanized—but underground—cultural landscape was created here. 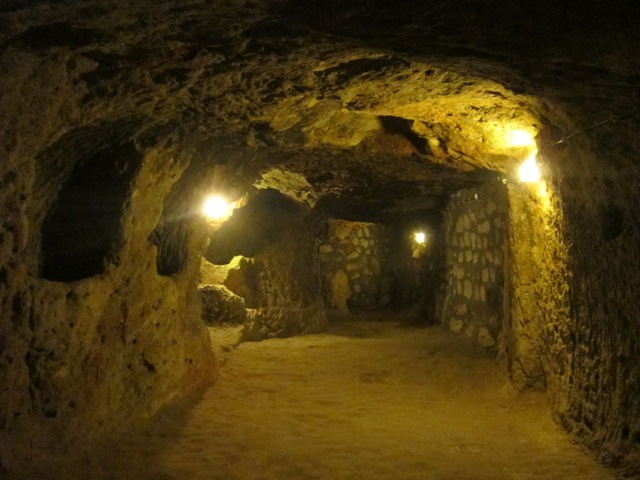 In caves and below ground are living quarters, places of worship, stables, wineries and storehouses, all dug into the stone. 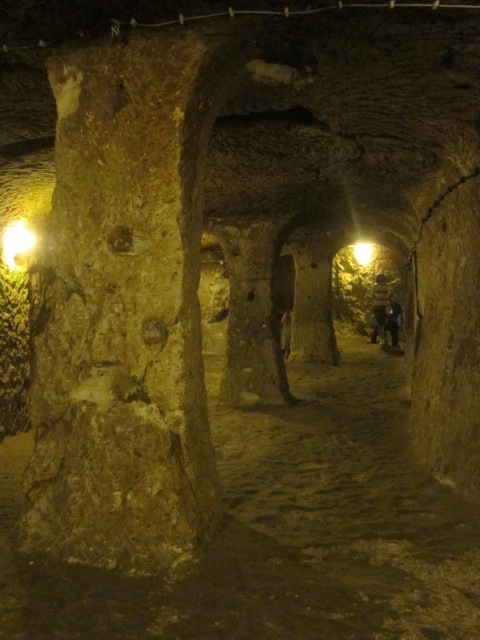 The underground city that we visited yesterday is only 10% excavated and is thought to be 10km long with eight subterranean levels and enough space for 30,000 people. It was a little claustrophobic but we got a great sense of what it would be like to live down below. 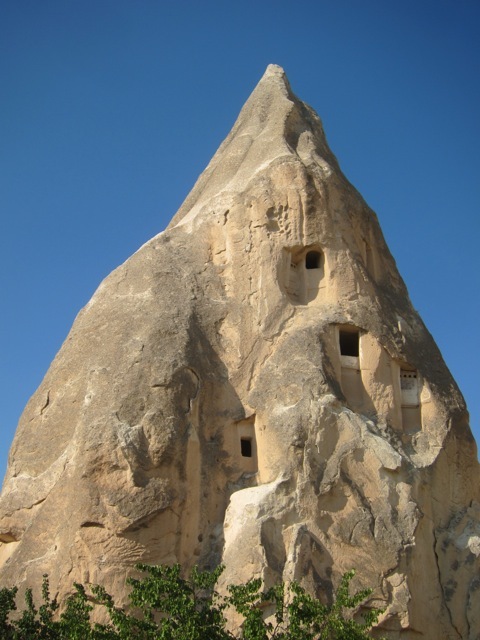 Evidence shows that every household kept pigeons using dovecotes, also carved into the rock. The droppings from the birds were vital to the viticulture and allowed them to maintain the fertility of their gardens, with apricots, mulberrys, pears and melons grown around the vegetable patches. This has to be one of the finest examples of natural building in the world. It goes one step further than using local materials. The templates for each house were created naturally with zero human effort. The people then had to chip away at the insides to hollow out a home for themselves, similar to permaculture’s holy grail of harvesting as maintenance. The temperature inside remains a constant 16-18 degrees, perfect when it’s plus 42 degrees above ground. 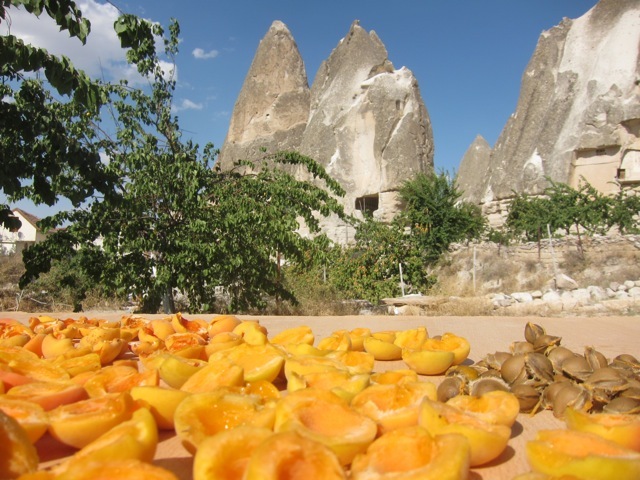 We’ve been searching for examples of “working with nature and not against it” on this journey and we certainly found it here in Cappadocia.